Organizations have long seen the value in aggregating data from multiple systems into a single, holistic, real-time representation of a business entity. That entity is often a customer. But the benefits of a single view in enhancing business visibility and operational intelligence can apply equally to other business contexts. Think products, supply chains, industrial machinery, cities, financial asset classes, and many more. However, for many organizations, delivering a single view to the business has been elusive, impeded by a combination of technology and governance limitations. 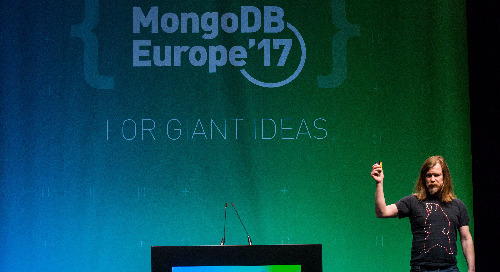 MongoDB has been used in many single view projects across enterprises of all sizes and industries. In this session, we will share the best practices we have observed and institutionalized over the years. By attending the webinar, you will learn: - A repeatable, 10-step methodology to successfully delivering a single view - The required technology capabilities and tools to accelerate project delivery - Case studies from customers who have built transformational single view applications on MongoDB.